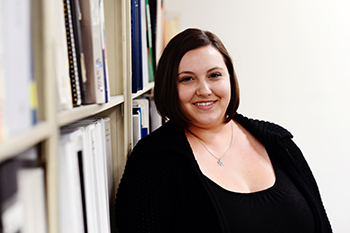 Samantha is a taxonomist and technical writer at Access Innovations. Her recent projects include taxonomy and rule-building work for JSTOR, AIP, Access Integrity, Triumph Learning, and AAAS. Her day-to-day tasks include maintenance and author disambiguation for AIP and filling in on other projects where she’s needed. She occasionally gets her hands dirty with technical writing, producing press releases and blog posts when needed. Her most recent blog post involved a spooky taxonomy all about zombies, in the proper Halloween spirit. Samantha earned her Bachelor’s degree in English, with a concentration in creative writing, from the University of New Mexico in May 2013. When she’s not in the office creating word magic, she’s at home writing word magic, as she is hoping to be a published fiction author in the future. Samantha enjoys reading books, travelling, and getting into the local arts scene, such as community theater and dance. She loves dogs (especially her dog, Cass), sea turtles, videogames, chai tea, and she is an avid zombiephile.